Its a sad day today!! Firstly it is the anniversary of my husband's death and our wedding anniversary. 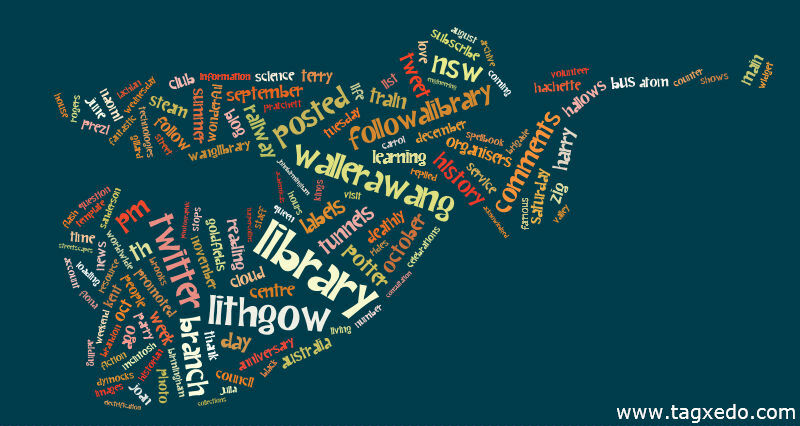 Also I have been asked by management at Lithgow City Council to no longer Twitter or Blog as Wallerawang Library as council has no social media policy. 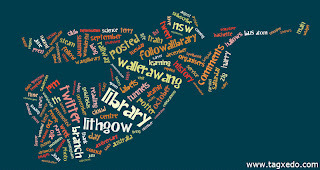 Thank you for following Wallerawang Branch Library over the last few years. I am depressed and extremely disappointed at the decision. "﻿The Lithgow Flash Gift will be held on Saturday 26th February, 2011 at the Tony Luchetti Showground, Lithgow. The Lithgow Flash Gift is a professional athletics carnival and will see athletes invited from all over Australia to compete for a total prize pool of in excess of $32,000. Races are to be conducted under a handicap system to give an even chance for all competitors of winning. “The Lithgow Flash Gift” is named for Mrs Marjorie Jackson-Nelson, The Lithgow Flash, who during her athletic career won two Olympic gold medals (Helsinki 1952) and seven Commonwealth Games gold medals." "For centuries February 14 has been known as Valentine's Day, a time beloved of romantics. Now a new era has begun with Library Lovers everywhere claiming the day for the objects of their special affection - Australia's libraries. People are devoted to their library and not just on one day of the year. Millions of library lovers across Australia must be right! This promotional campaign is a combined advocacy event organised by the Australian Library and Information Association (ALIA). So now it's time for libraries across Australia to get on board. " "This is a great, glorious, big-hearted novel set in a travelling circus touring the backblocks of America during the Great Depression of the early 1930s. It's a story of love and hate,trains and circuses, dwarves and fat ladies, horses and elephants - or to be more specific, one elephant, Rosie, star of Benzini Bros Most Spectacular Show on Earth . . . When Jacob Jankowski, recently orphaned and suddenly adrift, jumps onto a passing train,he enters a world of freaks, swindlers and misfits in a second-rate circus struggling to survive during the Great Depression. A veterinary student who almost earned his degree, Jacob is put in charge of caring for the circus menagerie. It is there that Jacob meets Marlena, the beautiful equestrienne who is married to August, a charismatic but violently unpredictable animal trainer. Jacob also meets Rosie, an elephant who seems unmanageable until he discovers an unusual way to reach her. 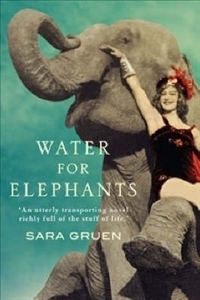 Water for Elephants is a story that has it all - warmth, humour, poignancy and passion. It has an energy and spirit like the feeling under a big top when the show is about to begin." which is Lithgow Library Learning Centre. For the faithful..Dark Times are coming! Evil is brewing.